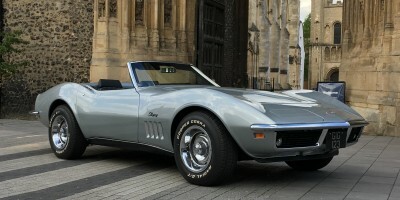 Corvette Kingdom, 40 years of craftsmanship, repairs, servicing and upgrades. 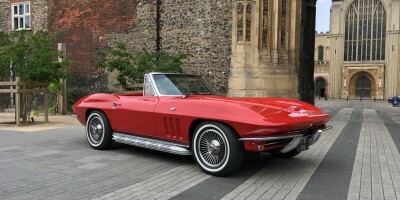 Specialising in Corvettes from 1953-1982, we offer a complete service for the Corvette owner, from routine maintenance, servicing, and repair, to full restorations and everything in-between. We are at the forefront of the UK body off scene, and are well known throughout the UK for our high standards of workmanship and attention to detail. We offer a fast new and used mail order parts service and the parts we sell are of the best quality available as used in our own workshops. Buying and selling Corvettes is also part of our business and we usually have a range of Corvettes for sale. Browse our website to get a feel of what we are about, our history, our services and what we can do for you. In our ‘Body Off Video’ section you can watch a complete series of body off videos from start to finish, read the full story of a few feature cars in our ‘Workshop stories' or just catch up on the latest goings on in our ‘News’ section. If you would like to discuss any way in which we can help you with your Corvette feel free to give us a call. Just wanted to let you know that I finally got the Corvette out for a good run this week and I'm so pleased with it. It's such a better drive than it was. So thank you! 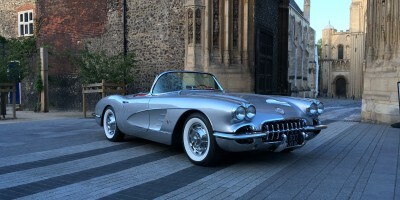 Arrived home safe on the IOW AT 23:50hrs (hour on the ferry) after a lovely journey home in my new better handling Vette which is now a great pleasure to drive. This was my longest journey of all, a round trip of 562 miles. I really enjoyed the day and I particularly liked the fact that both you Scott and Ronni were keen to show me the progress of the work set in front of you both. Thus not leaving me out of the job. I could see I had made the right decision in taking my car to CK. Having spent 4 days diagnosing my problem I rang up for parts on the off chance. Thanks very much - very impressed with your service. The carrier you use is excellent. 1971 Windshield wiper motor and switch arrived by 10.00am next day. Spent this morning fitting the motor. Works a treat!! I, like many others have found CK a good reputable supplier and workshop. Call Scott if you need help or supplies. Car looks fantastic and is running great, was out for 4.5hrs last week all around London traffic etc and it was a joy, so comfortable and seems to get better the warmer the engine gets! My trip to Corvette Kingdom to view the C1 was simply a brilliant experience. As soon as I meet Scott and Ronni I knew I was in safe hands. The infectious energy of two Corvette specialists who clearly have a passion for and a superb knowledge of all things Corvette is catching! I really can’t recommend Scott and Ronni at Corvette Kingdom highly enough. Dealing with them has been a fantastic experience and I look forward to dealing with them long into the future. I'm pleased to report that the brakes are noticeably better now and in fact could be as good as they've ever been since I've had the car as I don't remember them being as good as that before... Lucky I've not had to use them in a serious emergency to find out that they were weak. Now I can go faster with full confidence ! Buying Corvette parts can be pretty confusing. The Corvette reproduction parts market is vast, and as with everything else, there is good and bad out there. We use all the parts we sell, we know that they fit and they look good, but most importantly, they work. An inexpensive part doesn’t seem such good value when it takes three times as long to fit, or doesn't fit at all. If you are unsure a part is going to be right for you, feel free to call or email to make sure it is right for your application, or for an honest appraisal of the parts quality..
We carry a vast stock of new and used parts. We have virtually everything you need to keep your Corvette on the road, and much more besides. We also have several different years of Corvettes breaking. This coupled with our long established contacts throughout the USA ensures we can help you locate that hard to find part. We have a large stock of used parts that are not yet listed online so feel free to call or email with your needs. We manufacture our own body panels, and we use all the panels we sell, these are of the highest quality and the best fit and finish available. Look for 'CK' at the end of the part number for our own brand panels. Regular shipments from the USA ensure that even if the part isn't in stock your wait should be kept to a minimum.. We will always do our best to expedite your order. Search our online parts shop either by year, category, description or part number. All parcels are sent by courier for next day delivery and are fully insured. If you cant find what you are looking for on this website, please feel free to contact us and we will do our best to help.